Wooden pallets are perfect for upcycling, you can source them for free and there isn’t much more satisfying than turning would-be trash into something functional and beautiful. 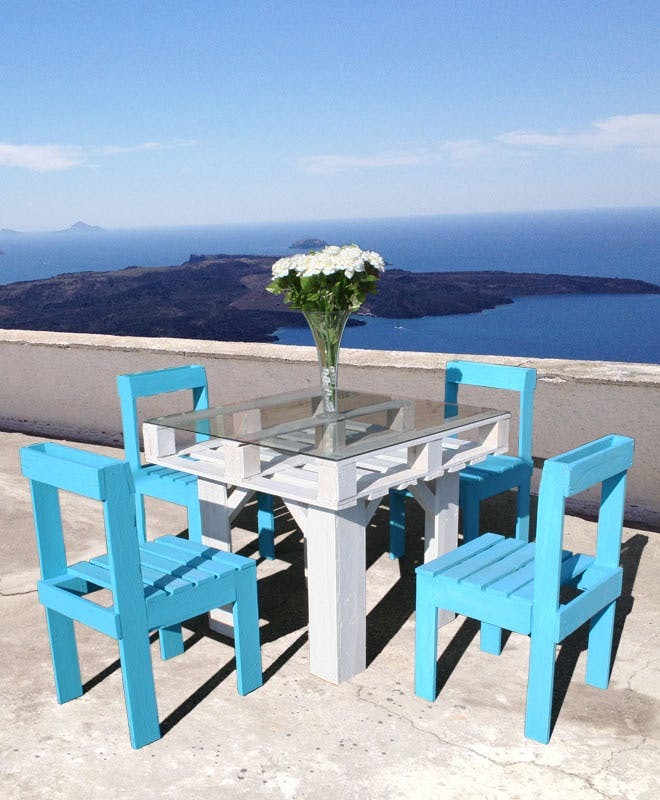 Today we have found 6 diy pallet outdoor living items you need which will add a pop of wow to your outdoor space. Some are quick and easy while others will need a little patience and time, but there’s no doubt that they’re all magnificent and will transform your outdoor living space. Don’t leave your outdoor space looking drab when you can simply make one of these 6 diy pallet outdoor living outdoor items you need! 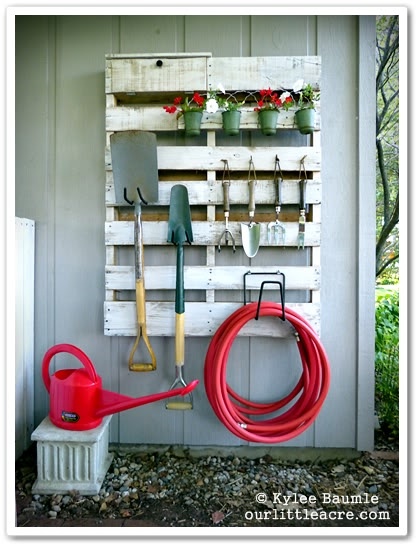 This outdoor pallet organizer is something almost everyone needs. With this pallet organizer, there is a space for everything, no more hose on the ground! Whats better is how simple this pallet organizer is to make. Click here to view the full tutorial. Everyone needs an outdoor daybed. It is the perfect space to relax in the summer sun, read books and hang out with friends. 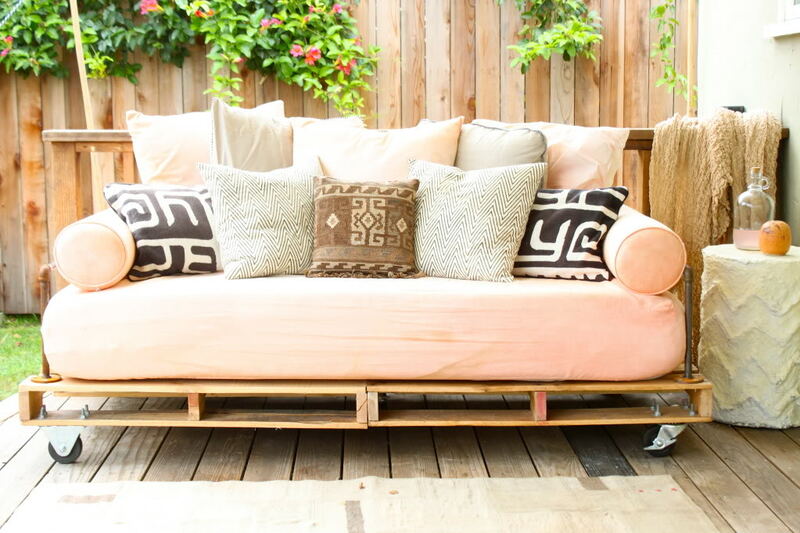 This pallet daybed is fairly simple to make and really will bring some wow to your outdoors. Follow this link to find out more. This stylish vertical herb garden is perfect for growing all the herbs you need for your home cooking. It is portable so there is no need to worry about getting its placement right. 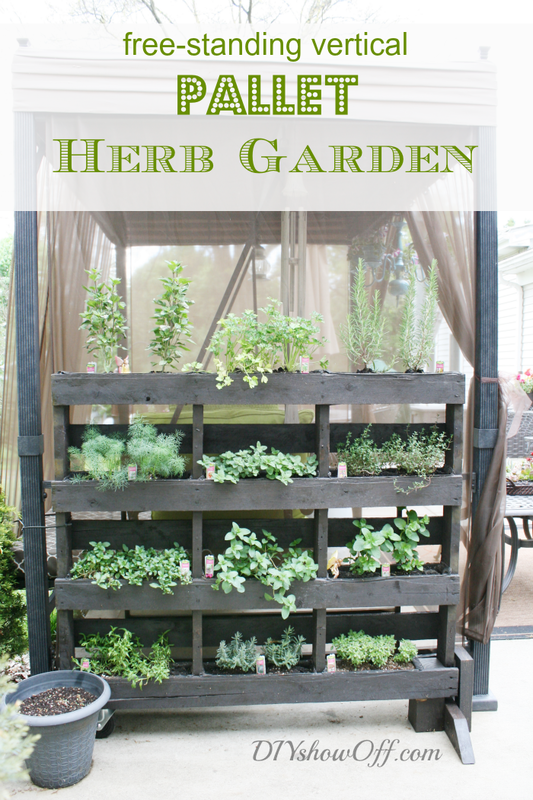 Perfect as a screen, against a fence or close to the house for easy herb access. Follow this link to find out more. 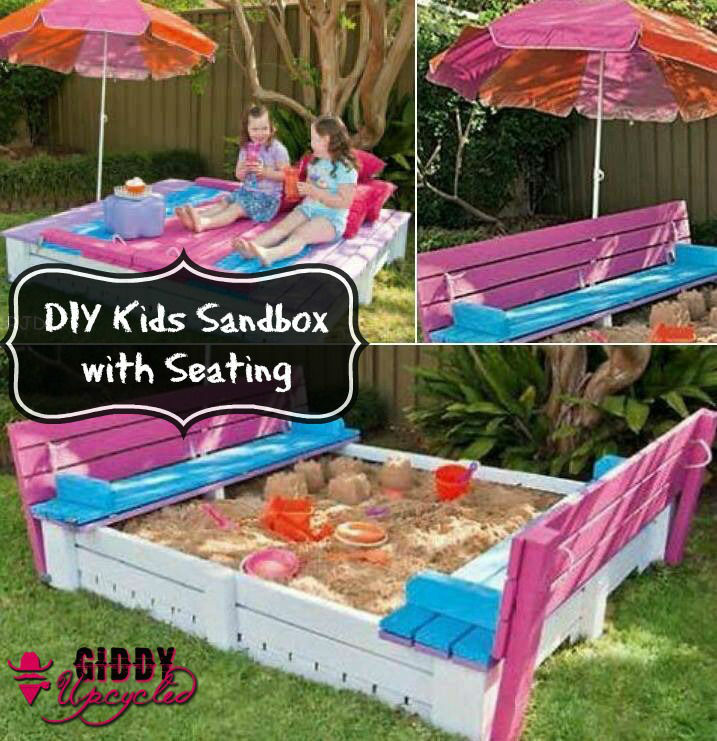 A sandbox with seating is an outdoor pallet item that kids will insist they need! We love the bright summery colors this sandbox is painted in. The seating transforms this sandbox into a super cool space for the kids to hang out. Click here to find the plans. Find the perfect spot for this outdoor dining table and chairs and enjoy your meals in style. This dining table is perfect for your garden or patio area! Find out more by clicking here. 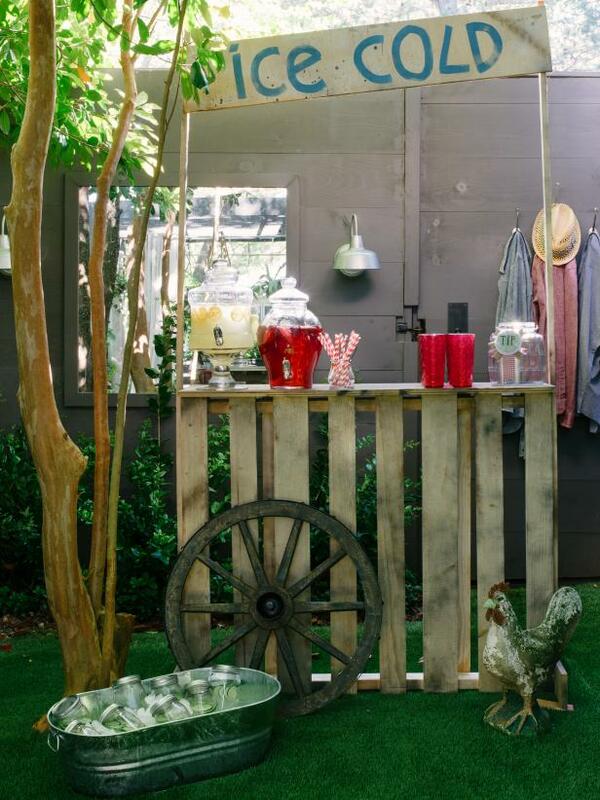 Build one of these adorable drinks stands and you have the ideal addition for any gathering. When the party isn’t happening why not set it up front for your kids to have their own lemonade stand. Follow this link to find the full tutorial.